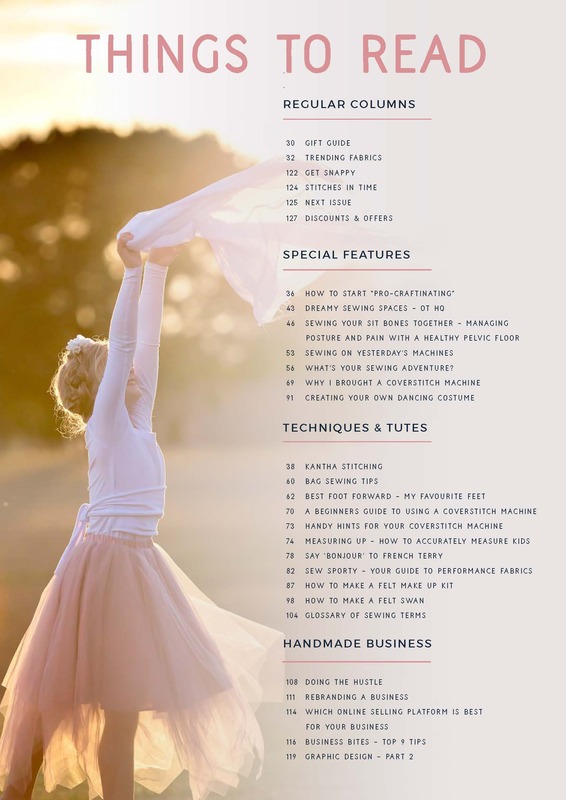 One Thimble Magazine is a quarterly sewing magazine produced by sewists for sewists! 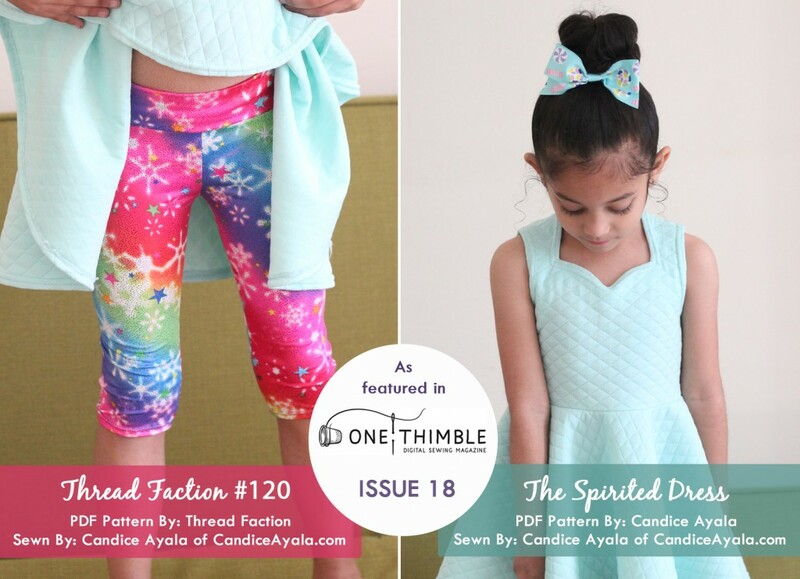 Each issue of One Thimble is full of 100% sewable, wearable and Instagram-able PDF sewing patterns for kids and adults that every mum can sew (and sell). We also share inspiring and informative articles to help you improve your sewing, and show. you how to start, run and expand your own handmade business. 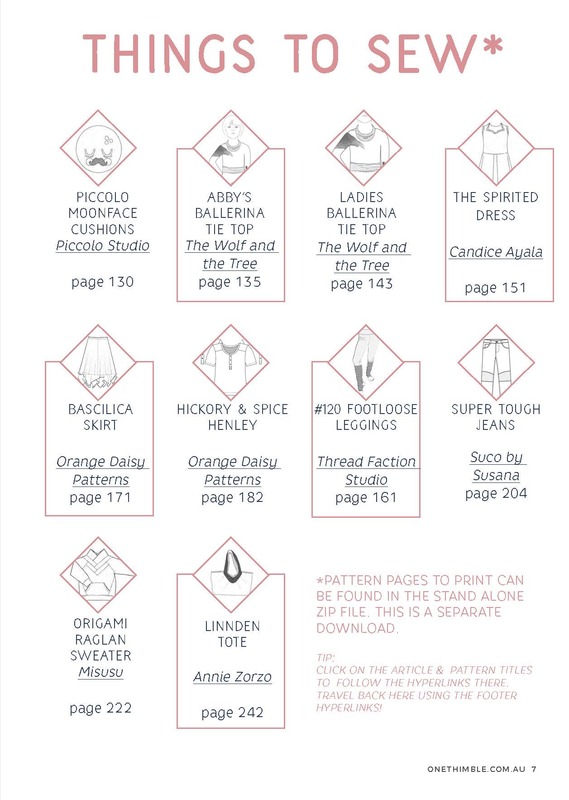 The Thread Faction #120: Footloose Leggings is a pattern for Girls Fashion Leggings. 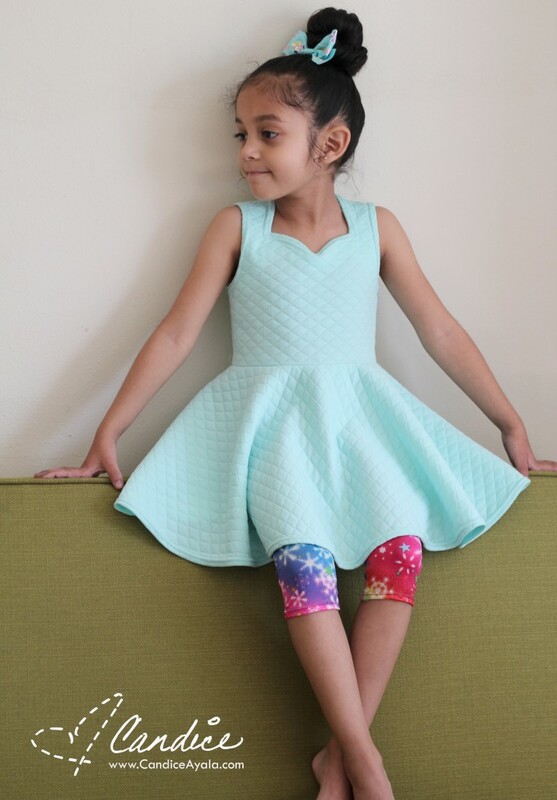 This pattern runs from a size 2-10, has an elastic waistband and includes a leg warmer portion in the lower legs and feet, as well as a capri length option. I opted for the Capri length just because, I didn’t have enough fabric fro a full length version and it went really well with my second sew! 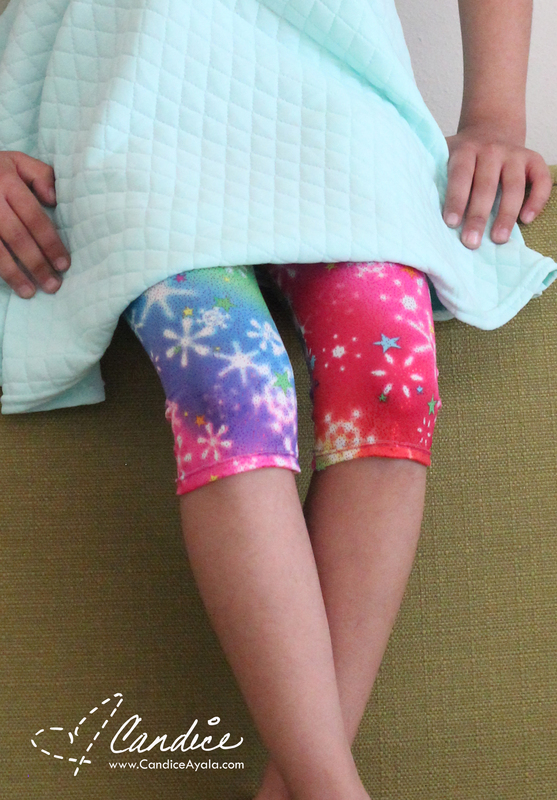 What I really love about these leggings is that there are no side seams! 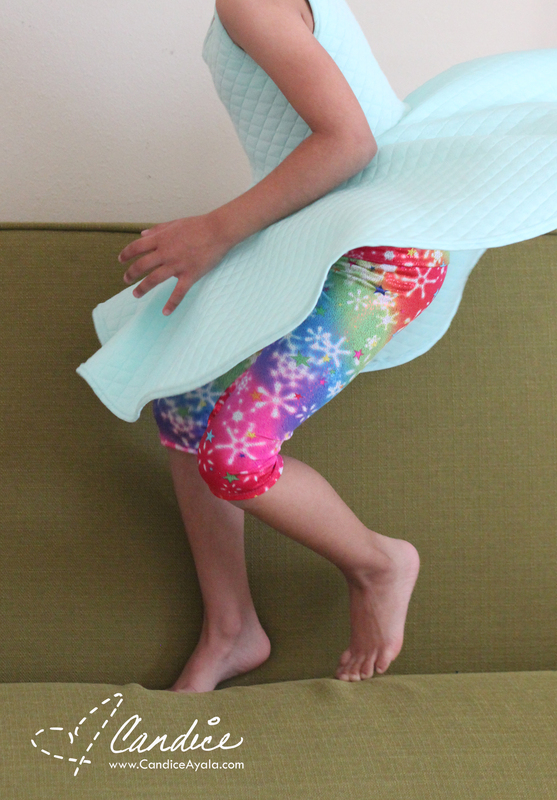 So finishing a sew is even quicker. 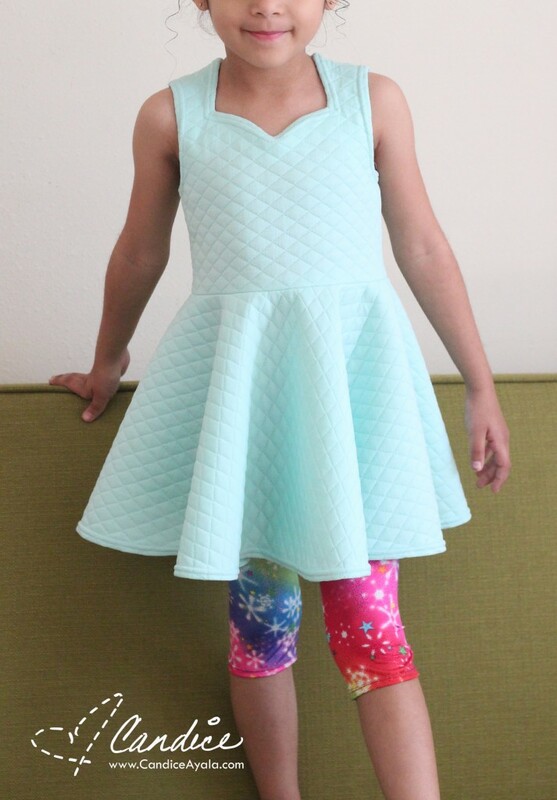 I did have to blend sizes because Abigail had a size 2 waist, but fell into the size 4 for height, so I appreciated the beginner friendly instructions on how to blend sizes that were included in this pattern. The Spirited Dress by Candice Ayala (OMG THATS ME!!! HAHA!) Yes, you read that right!! 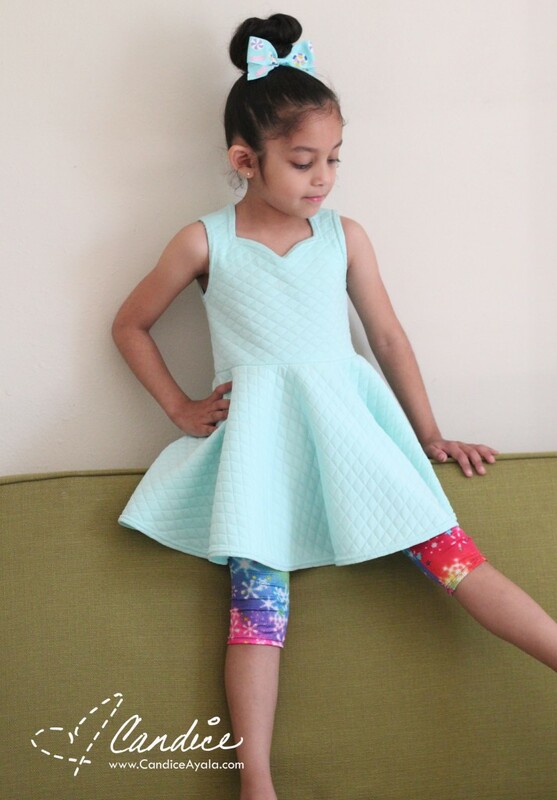 The Spirited Dress is my FIRST ever published PDF Pattern! Can you believe it?! If you’ve been following me for a while, you might recognize the look of this dress. I first made it for Abigail 4th Birthday 2 years ago at her request, you can see that blog post HERE. The neckline has been tweaked a little bit, but everything remained the same. I had always thought of turning this dress into an actual pattern, and when Jen sent out the Pitch Kit for OT 18 with a Ballerina / Sporty and Nice theme, I thought it was the perfect time! 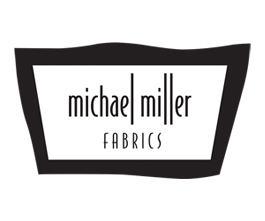 Super Special thanks to Ann of Designer Stitch for helping my dream come true! 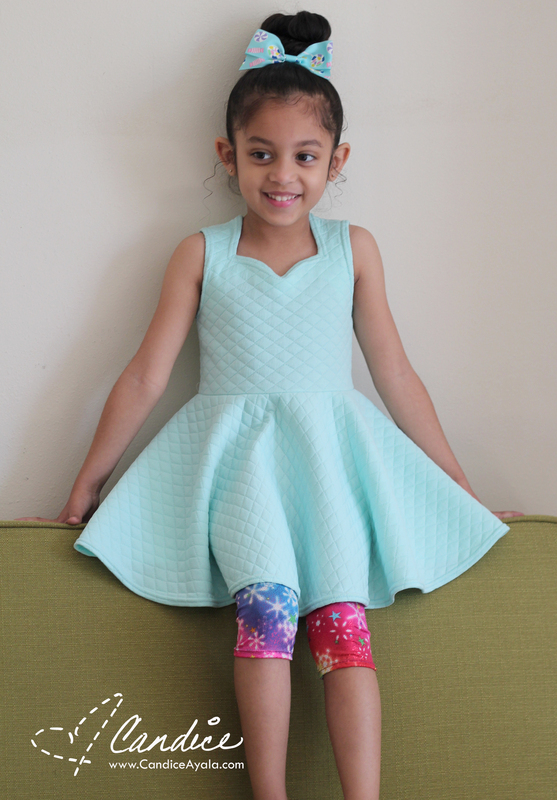 The Spirited Dress is a structured knit dress,that features a distinguished Queen Anne neckline, a playful circle skirt and a bonus underpants pattern! 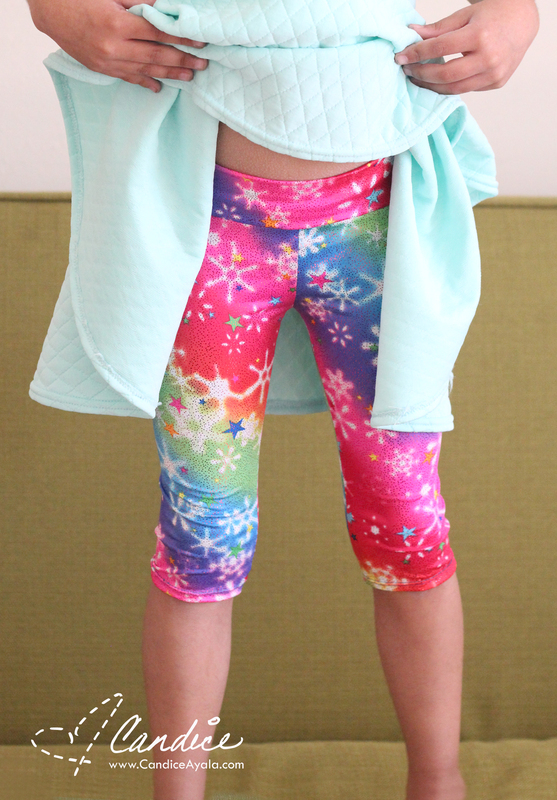 For this blog post, I omitted the underpants pattern that’s included with the dress, and paired it with the #120 Footloose leggings. I think they work really well together too! The dress does require a structured knit, so something with less than 40% stretch across the grain and 5% vertical stretch. 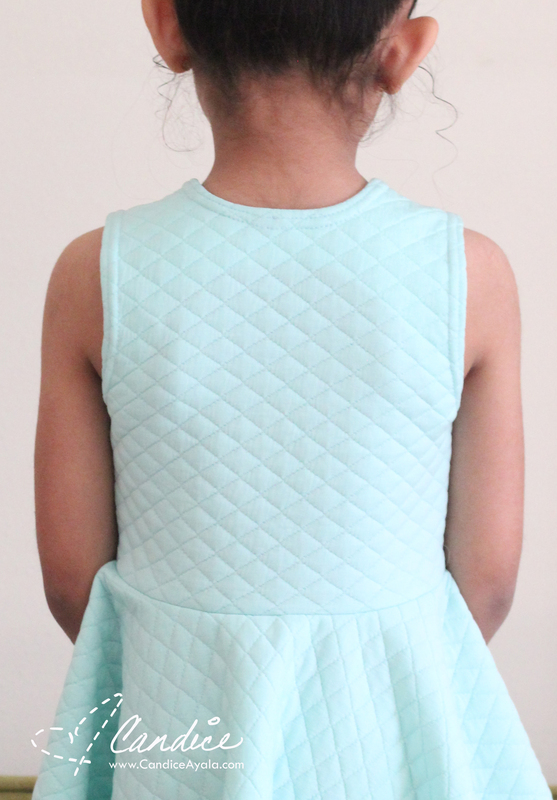 For this dress, I used a quilted knit from Fabric.com I got a long time ago, but you can find similar types HERE, HERE, HERE, and this fuchsia HERE is my favorite! Thank you for stopping by today! Wishing you a fantastic week! So cute!! I love that fabric!